Are you ready for a new monthly blog challenge? Kelly's got a fun new challenge that should be pretty..... challenging! You're up for a challenge, right? A good participation prize is always a strong incentive to play. 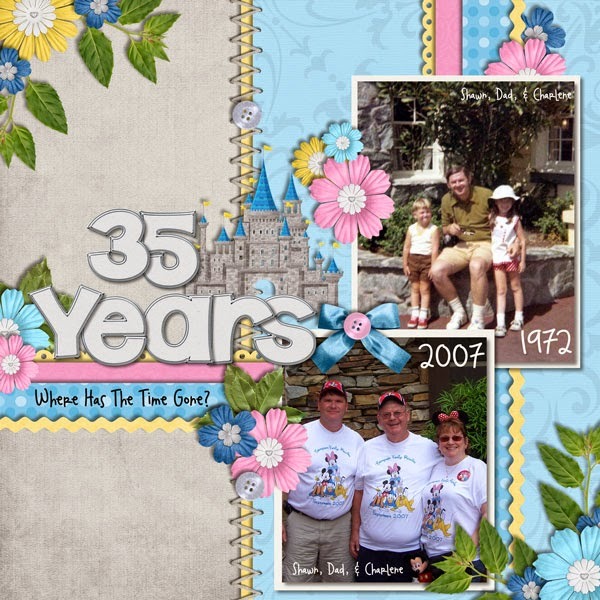 This month, CT member Jenn has some amazing journal cards for Epcot. Sweet! First you have to submit a layout into the Challenges Gallery in order to get this prize. You can do it! The theme for this month's challenge is Half & Half. Make sure you read through the description of what kind of layout to make. It's a little bit different from most of past blog challenges. Check out the CT layouts for some good examples of how to scrap a page for this. Scrap a Disney page that shows a half and half theme. This can be a before/after or then/now page, or a split page that is either vertical/horizontal/diagonal split. (your split doesn't have to be exactly 50/50). The split can be separated by 2 different colors, or even half journaling and half photos. 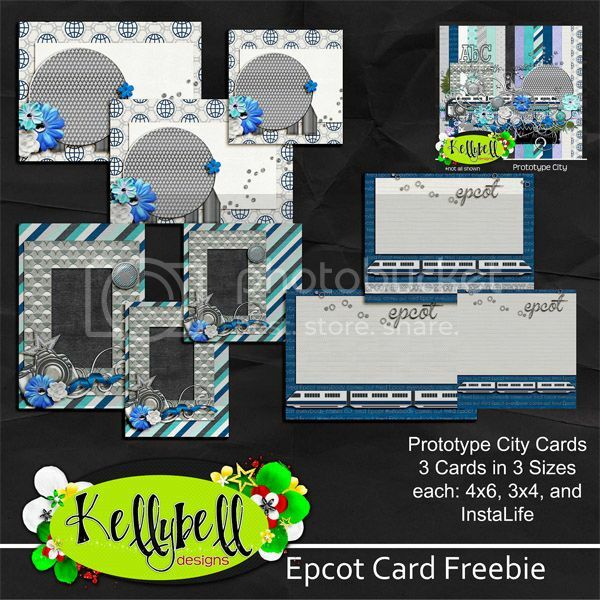 Post your layout into the Challenges Gallery at Kellybell Designs by midnight EST May 31st. Participation prizes will be sent to the email address you have listed with Kelly's gallery so make sure you're registered and logged in with your User ID before posting your layout. If you need some inspiration and scrapping ideas, you can head on over to Kelly's Blog to see all the Creative Team layouts for this challenge. Make sure you check out all the collections inside the Kellybell Designs Store to figure out which new collections you might want to scrap with. I can't believe that the first time I went to Disney World was in 1972. Since we lived in South Florida, it was only natural to enjoy the Magic Kingdom shortly after it opened. That was to be the first of many trips with my family. The year 2007 was to be the last trip we ever took with my Dad as he passed away in 2012. I love these two pictures taken from our first trip in 1972 and his last trip in 2007 so I had to scrap them for this challenge. We will be going back as a family in the fall but Dad won't be with us...our memories of him will be there with us instead.